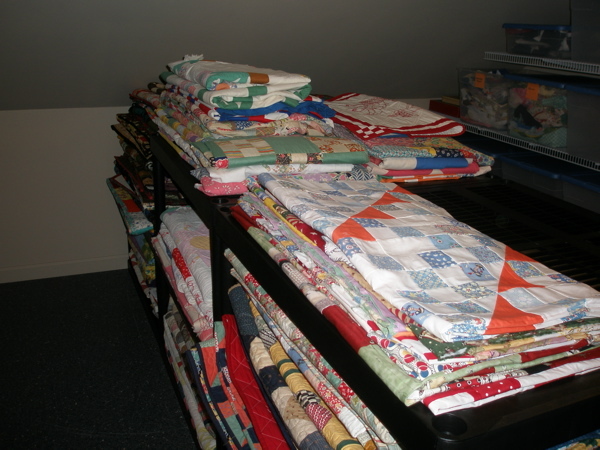 It’s been a ton of work, but this is what the Anne Frank room looks like now. Yes, there are still empty totes, but that’s because I’ve only emptied eight of the huge drawers that used to be in there. 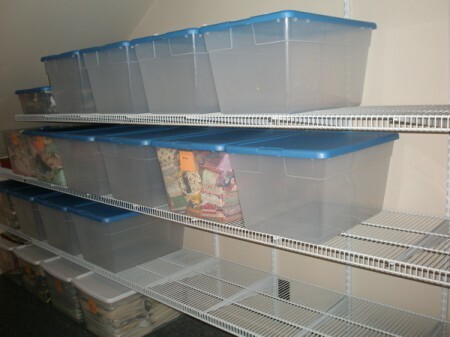 There are 20 more to go, but there’s still a lot of shelf space on the new shelving Bob installed. 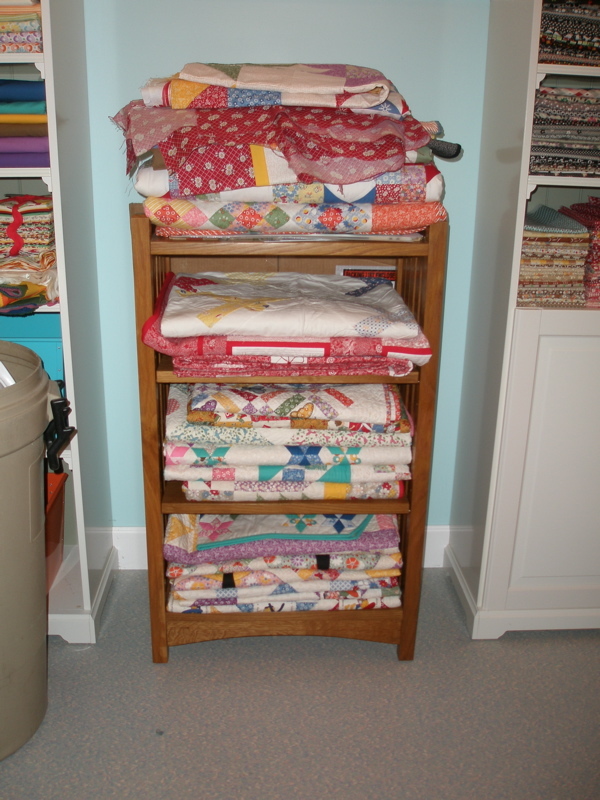 And the plastic racks for quilts and quilt tops are working out great! 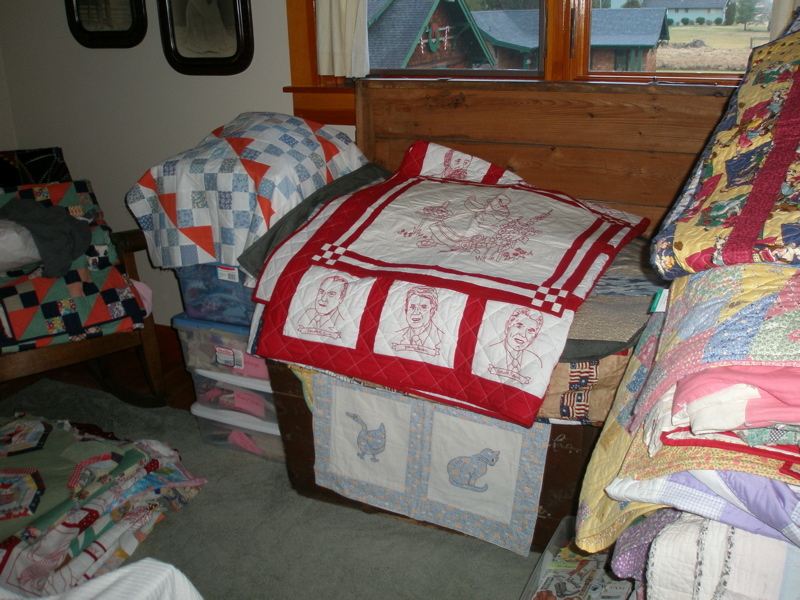 They go down the center of the room. 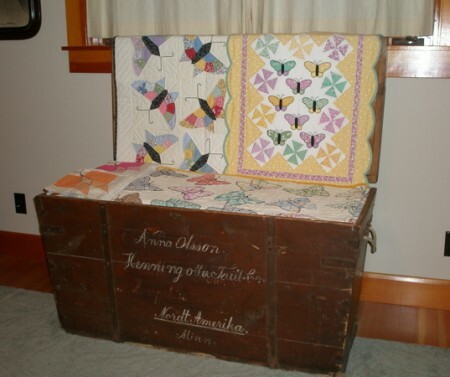 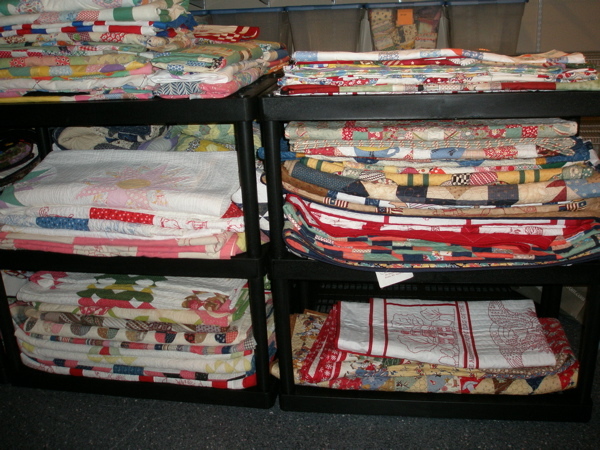 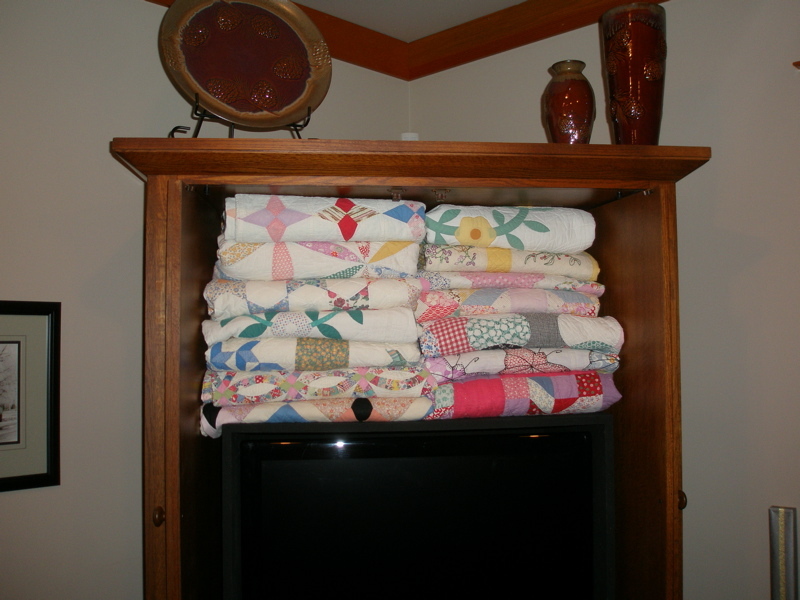 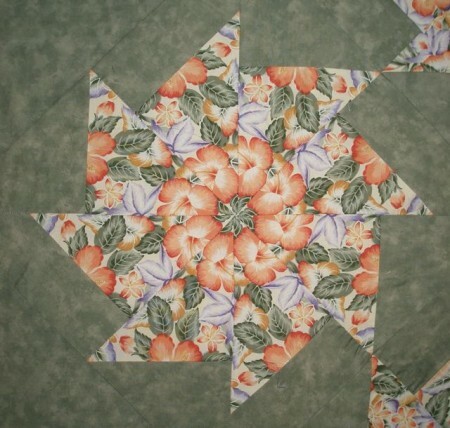 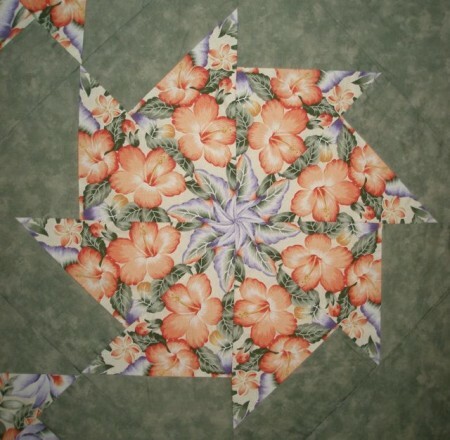 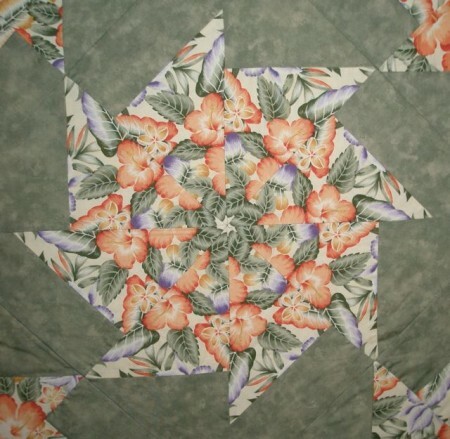 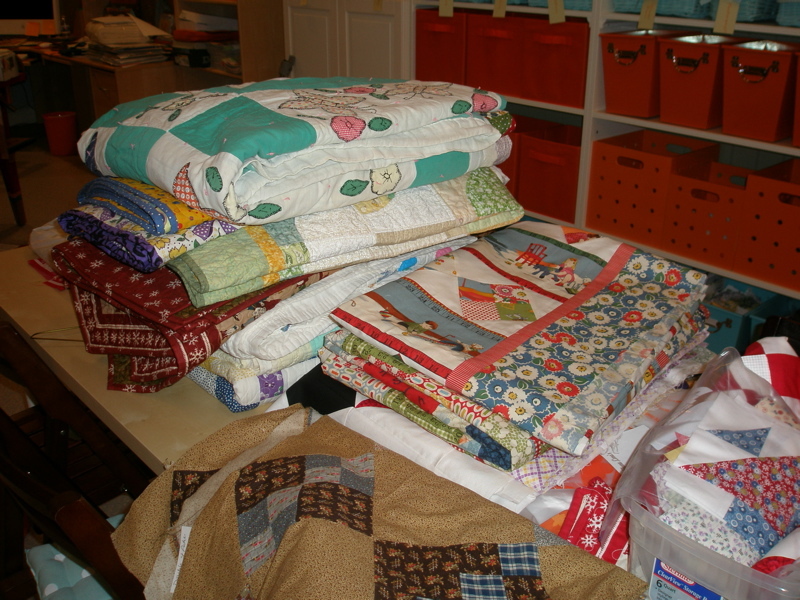 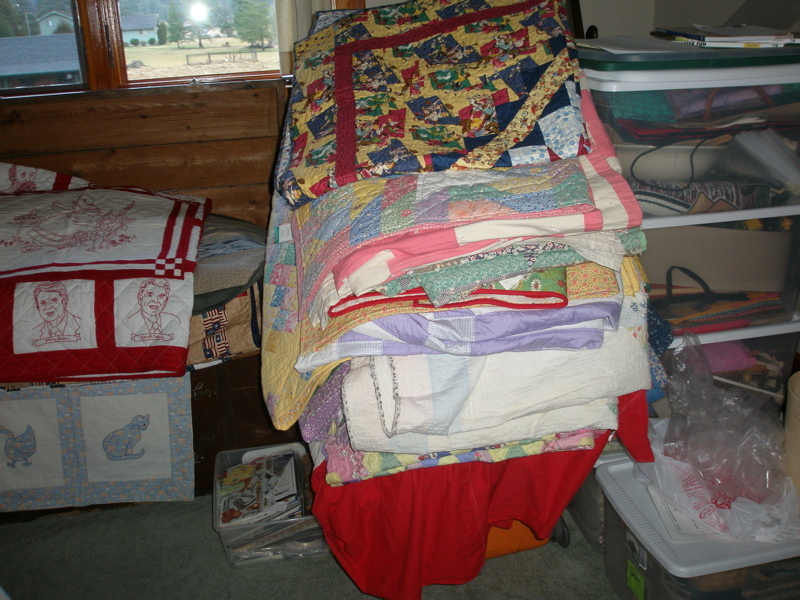 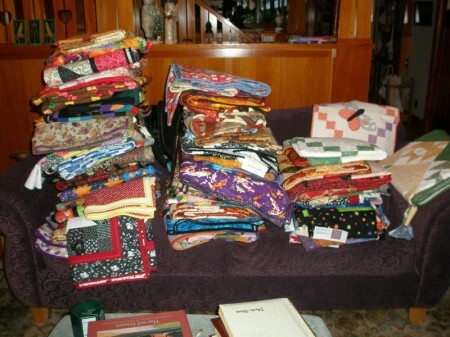 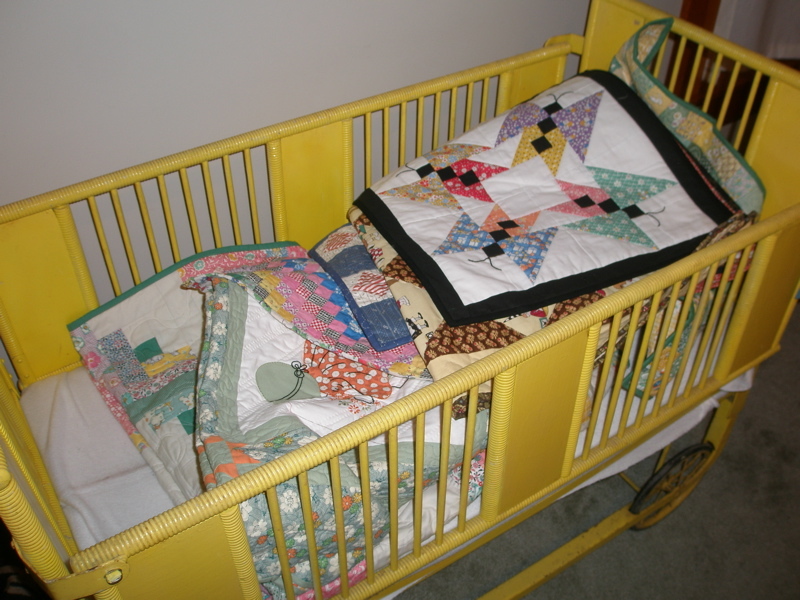 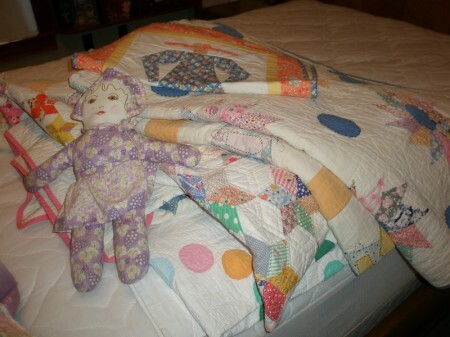 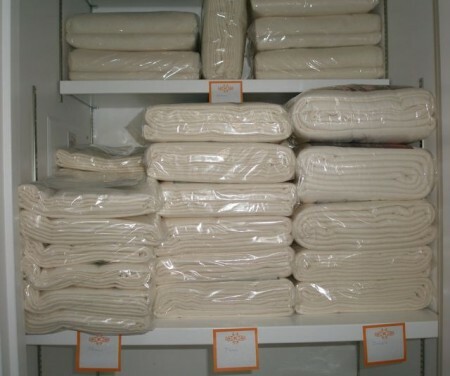 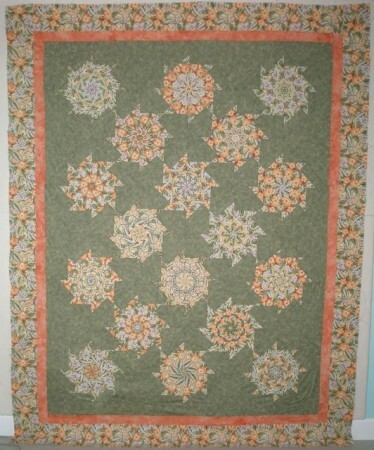 Every quilt and quilt top is neatly folded and stored in its proper place. 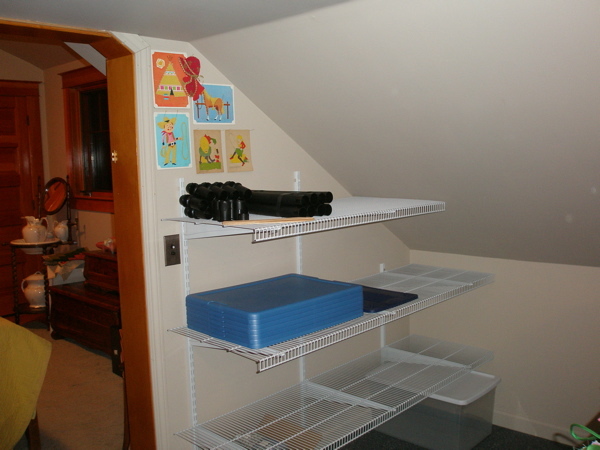 Wow, I never thought I’d say that! The Swedish immigrant’s trunk is nice and orderly once again. 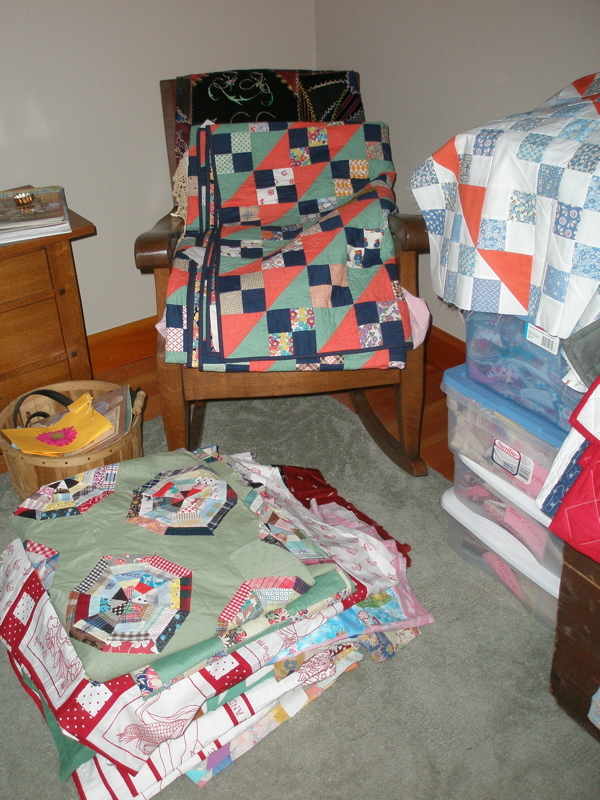 But I’m not finished. 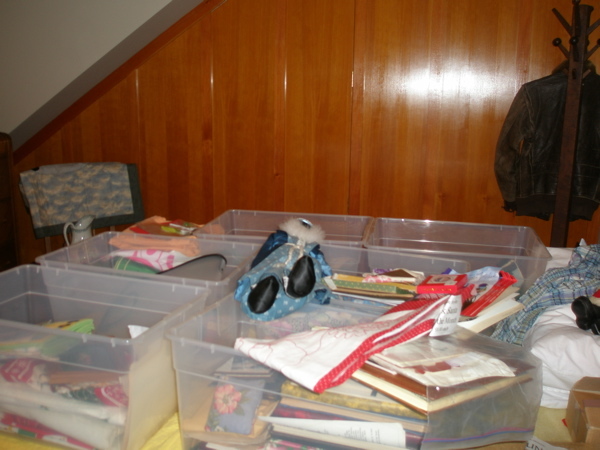 The sorting goes on……. If you look closely at the wood paneled wall in this guest room, you can see the hinges on the door that lead to the Anne Frank room. 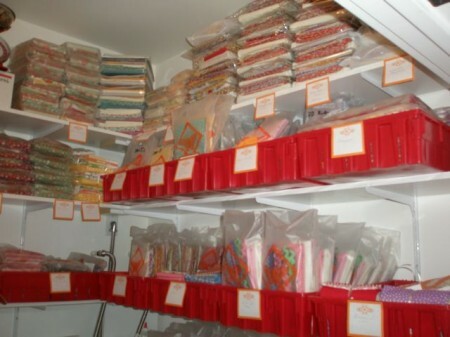 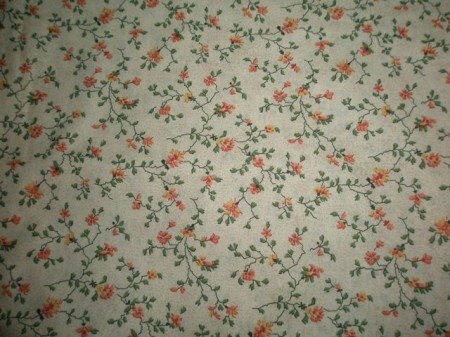 Anna Lena Land is become more organized everyday.